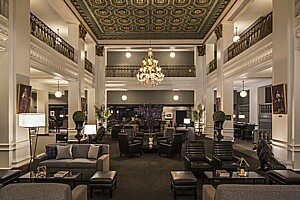 The historic Lord Baltimore Hotel reopens after a complete renovation that has restored its grandeur. Every surface has been touched by craftsmen, artisans, artists and designers to bring the hotel back to life. The grand French Renaissance landmark, a member of Historic Hotels of America, features 23 stories comprised of 440 guest rooms and suites, more than 20.000 square feet of event space, several dining and lounging spaces, one of the city’s only rooftop event spaces, and more. 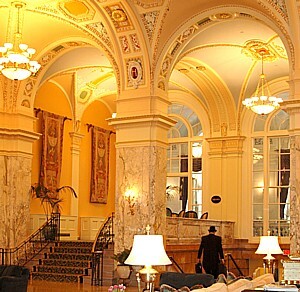 The landmark hotel is included in the National Register of Historic Places and is a member of Historic Hotels of America. Upon entering the grand lobby, guests feel as if they are in a “social living room,” complete with a massive gold Murano glass chandelier, towering glossy white columns and intimate groupings of mid-century inspired lounge seating. Complimentary high-speed internet is available throughout the hotel as are 50” high-definition televisions with 60 complimentary HD channels. The LB Tavern, just off of the lobby, is a communal gathering space where guests can enjoy cocktails in a library-like setting. Seven large, multi-colored Candida Höfer photographs of libraries of the world, on loan from the Rubell Family Collection’s museum in Miami, are featured throughout this space, and additional lounge seating gives this corner of the hotel a chic and sophisticated atmosphere. 440 guest rooms and suites feature dark wood tones with clean lines, contemporary art, velvet drapes and plush mattresses that leave guests feeling like they are in a luxurious loft. Every guest room includes complimentary high-speed internet, a television with 60 HD channels, refrigerator, coffee maker, digital safe and bedside charging station. Four penthouses overlook the Lord Baltimore’s two rooftop areas, which feature a panoramic view of downtown Baltimore. The rooftop gardens and penthouses are available for private events. Guests can also enjoy the new state of the art gym with a range of LifeFitness equipment. In keeping with the history found in every nook and cranny of the hotel, the Lord Baltimore’s updated Calvert Ballroom highlights the space’s original scenic murals, crystal Baccarat chandeliers, and six balconies, which are symbolic of the six Lords Baltimore. Sanders added a chic modern layer to the event space by choosing layers of gold textured wallpaper, platinum gray linen wallpaper with glossy white trim and a swirling array of gray, black and gold carpet. The Lord Baltimore Hotel features unparalleled dining options including its signature restaurant, French Kitchen, which offers classic French fare in contemporary preparations. Inspired by the familiar bright colors used in Matisse paintings, Sanders transformed the historic Versailles dining room using a bright, modern aesthetic. Additionally, guests can enjoy the LB Bakery, a contemporary take on a small-town American coffee house, featuring house-made breads, pastries, salads and sandwiches. Art exhibitions are planned throughout the public spaces and will highlight local, national and global artwork. Additionally, the hotel will feature a signature gift shop, SideShow, an outpost of the American Visionary Art Museum’s museum shop. The Rubell family – whose Rubell Family Collection in Miami is widely acknowledged as one of the top contemporary art museums in the world – is known for its talent in discovering emerging artists, emerging cities, architectural gems and emerging neighborhoods. The Rubells believe deeply that the key to the economic success of a city is dependent on its cultural relevance. 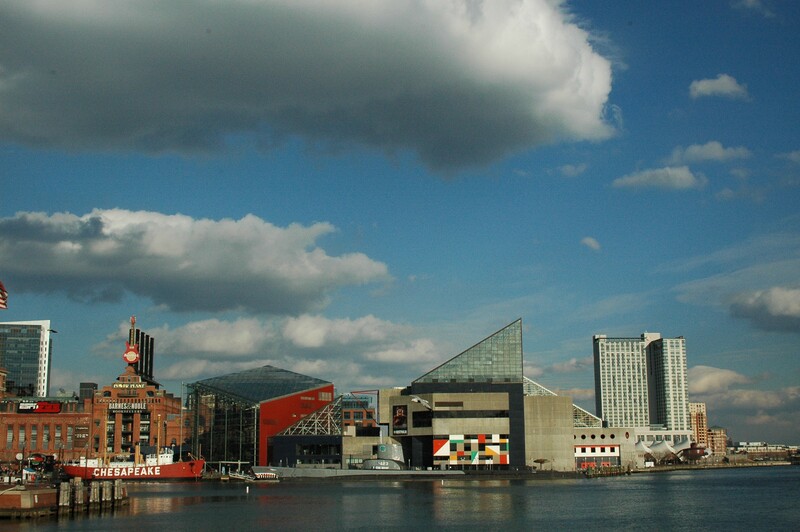 They often invest deeply in areas they feel have strong cultural potential, and their transformation of the Lord Baltimore Hotel indicates the beginning of what is sure to be a long-term commitment to the cultural life of Baltimore. On Thursday, March 27, the Lord Baltimore Hotel will hold an official ribbon cutting ceremony at 7:30 a.m. featuring Baltimore City Mayor Stephanie Rawlings-Blake, Baltimore City Councilman William Cole and other dignitaries. The Lord Baltimore Hotel is located at 20 W. Baltimore Street, Baltimore, MD, 21201. More information can be found at www.lordbaltimorehotel.com. Calling all fitness buffs! Tie those laces tight, grab that lucky headband and get ready to take a run through downtown Portland with the Heathman Hotel’s GM. Every Tuesday, guests and members of the Portland community are invited to join General Manager (and marathon runner! ), Chris Erickson, as he embarks on his morning run through Portland. The Run with the GM Program and Package is the ideal way for Portland-based runners and Heathman Hotel guests to stick to their fitness routines while on the road and see the city in a completely different light. For travelers looking to mix fitness with pleasure during their visit to Portland, the Run with the GM Package offers guests the required essentials to help prepare and recover from a morning run. Additionally for every package purchased, the Heathman will donate $20 to One Fund Boston to help the people most affected by the tragic events that occurred in Boston on April 15, 2013. · Tuesday morning run with the GM at 7am sharp – rain or shine! Rates for the one-night Run with the GM Package start at $259, are based on availability and do not include tax or service. The Run with the GM Package is available on Monday evenings. Guests who wish to book this package all other days of the week, will be provided with maps full of the GM’s favorite running routes. For an additional fee, travelers also have the option of adding a second night, in-room pre-run dinner from the hotel’s Running Menu, and in-room massage (advance reservations required). Guests may call 800.551.0011 for more information or to make a reservation. Built in 1927 and located in the heart of Portland, Ore.’s, cultural district, this 150-room luxury hotel maintains strong partnerships with local arts and culture organizations and is Portland’s premier arts hotel. An independently owned luxury boutique property, the Heathman Hotel is a member of the Preferred Hotel Group and Historic Hotels of America. The Heathman has received the prestigious Four Diamond distinction from AAA for 26 consecutive years. In 2013, the hotel was featured on Condé Nast Traveler’s Gold List and the 2013 edition of U.S. News & World Report’s Best Hotels rankings. The hotel was recognized in 2012 by Travel + Leisure as one of the top 50 World’s Best Hotels. In 2011, the hotel was included on Condé Nast Traveler’s list of the world’s best hotels in its annual Readers’ Choice Awards. In 2010, the hotel was selected as the top Mid Luxury Hotel for business in the United States by Entrepreneur magazine. Additionally, the Heathman was recognized for overall excellence on Condé Nast Traveler’s 2005 Gold List and was featured in the 2005, 2006, 2007 and 2009 editions of Travel + Leisure’s top 500 World’s Best Hotels list. The hotel also received Wine Spectator’s Best of Award of Excellence in 2008, 2009, 2010 and 2011. The hotel also was recognized by Energy Trust of Oregon in 2007, 2008 and 2009 for its commitment to sustainability and conservation efforts; the property continues to work toward EnergyStar certification and recently received Green Seal Silver certification. The Heathman Hotel and its sister property, Heathman Kirkland, encompass the art of hospitality in the Pacific Northwest. Cranwell Resort, Spa and Golf Club, a grand, historic hotel, is celebrating the opening of one of the largest resort spas in the Northeast 10 years ago in 2002. Festivities kick-off with “10 for 10” Specials: one special a month for 10 months © 2012 Karen Rubin/news-photos-features.com. 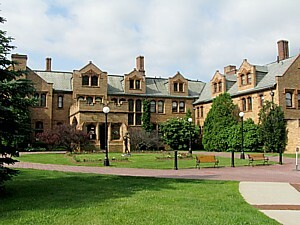 Cranwell Resort, Spa and Golf Club, a grand, historic hotel, is celebrating the opening of one of the largest resort spas in the Northeast 10 years ago in 2002. Festivities kick-off with “10 for 10” Specials: one special a month for 10 months. In addition, select treatments will be offered on the 10th of each month at 2002 prices ($85 for a Swedish Massage and $95 for a Classic Facial – both for 50-minute services). The Spa at Cranwell offers more than 50 services ranging from massages to detoxifying wraps and restorative body treatments. Many of the resort’s guest rooms are linked to The Spa by heated, glass enclosed walkways featuring views of landscaped gardens and wooded grounds. Highlights of the space include 16 treatment rooms, a 60-foot indoor pool with 20-foot glass wall, a state-of-the-art fitness center with daily classes, and a Spa Shop offering a wide assortment of spa essentials. Cranwell is located in the Berkshire is just two and one-half hours from New York City and Boston in the historic New England village of Lenox, Massachusetts. This award winning resort features 96 distinctive guest rooms and suites, an 18-hole historic golf course set on 380 hilltop acres, and is home to one of the largest resort Spas in the Northeast. With three restaurants and spacious banquet rooms, Cranwell also hosts numerous year-round conferences, weddings and social events. Cranwell Resort received the Condé Nast Traveler: 2011 Readers’ Choice Award and is listed in Zagat’s “Top U.S. Hotels, Resorts & Spas”. Additional recognitions include SpaFinder Readers’ Choice Award for one of “Best Spa Resorts for Golf” and the Wine Spectator Magazine Award of Excellence. Cranwell is a partner with Stash Hotel Rewards an innovative hotel rewards program that enables travelers to quickly earn free nights at distinctive, independent hotels without blackouts or expiration date restrictions. 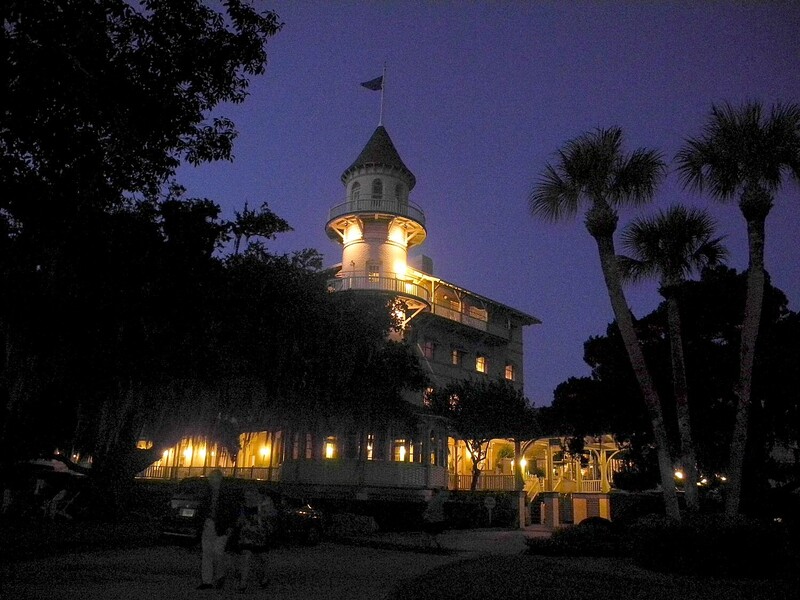 The resort is a member of Small Luxury Hotels of the World™ brand and is also a long time member of Historic Hotels of America (www.historichotels.org), which preserves the authenticity of over 200 of America’s most prominent historic hotels and inns. Cranwell Resort, Spa and Golf Club, 55 Lee Road, Lenox, MA 01240, Toll free: 1-800-272-6935, Phone: 413-637-1364, info@cranwell.com, reservations@cranwell.com, www.cranwell.com. The Hermitage Hotel, Nashville’s historic grand hotel, was named by U.S. News named number six on its Best Hotels in the U.S. list, making it the only hotel located in the Southeast in the top 10. After reviewing over 850 hotels in various destinations throughout the United States, U.S. News released this list of the top 10 percent, which has a total of 86 Best U.S. Hotels. Other hotels on the Top 10 list include: The Ritz-Carlton Golf Resort, Naples, Trump International Hotel & Tower, New York, Four Seasons Hotel, Las Vegas, The Ritz-Carlton Hotel Central Park, New York, The Fairmont Olympic Hotel, Mandarin Oriental, San Francisco, Trump International Hotel & Tower, Chicago, Four Seasons Resort Maui at Wailea, and Elysian Hotel, Chicago. In addition to the U.S. News Ranking, The Hermitage Hotel remains the only Forbes Five Star and AAA Five Diamond Award winning hotel in the state of Tennessee and in five of the eight contiguous states. Opened in 1910, The Hermitage Hotel, a member of Historic Hotels of America, has been woven into the history and memories of Nashville and her residents for over 100 years. In keeping with a deep respect for Nashville and the state of Tennessee, The Hermitage Hotel is committed to preserving the region’s heritage by putting into practice the traditions that make hospitality synonymous with The South. This commitment extends to protecting the state’s historic and scenic landscapes through a relationship with The Land Trust for Tennessee. This relationship began in 2008 when a program was created in which guests may donate $2 for every night they stay in the hotel. To date guests have donated over $150,000. 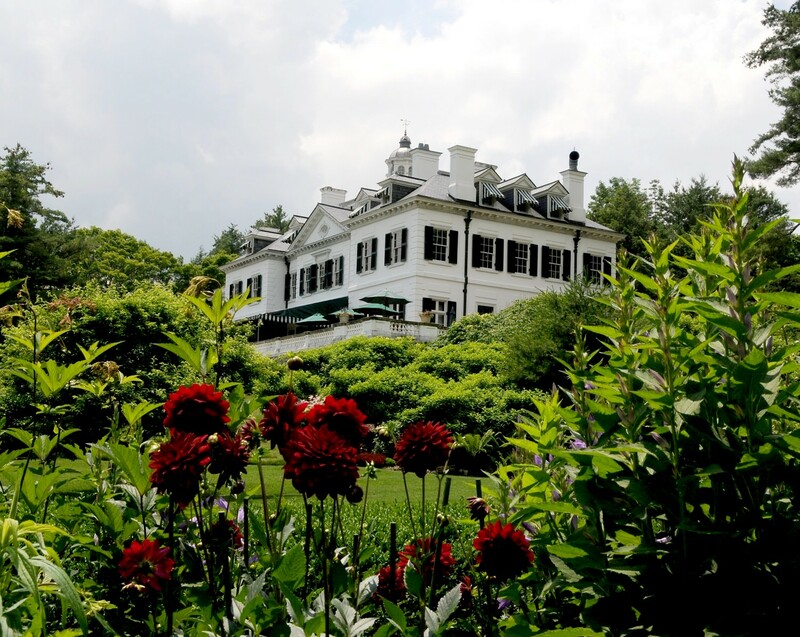 The relationship was furthered in 2010 when the Trust graciously allowed the Capitol Grille to create a substantial period garden using sustainable practices on the property at Glen Leven. Glen Leven is an historic 66 acre farm located just 5 miles from The Hermitage Hotel and owned by the Land Trust for Tennessee. The Hermitage Hotel is the only Forbes Five Star and AAA Five Diamond hotel in Tennessee and five contiguous states. The commitment to preservation continues in the hotel’s Capitol Grille and Oak Bar. Relaxed, low key, and known as the place for Nashvillians “in the know”, the Capitol Grille is the best example of a regionally inspired southern steakhouse in Nashville. Chef Tyler Brown has found the best source for heritage breed beef which now graze on the grasses at Glen Leven. The farm at Glen Leven also provides the vegetables that are used in all seasonally planned dishes. Chef Brown is actively involved with Share Our Strength, an organization whose mission is to end childhood hunger by 2015, and the Chef’s Move to Schools program, an offshoot of the Let’s Move program. Also, by supporting the Southern Foodways Alliance, the team at the Capitol Grille works to assure that the recipes and methods passed from generation to generation are not lost. The Capitol Grille is Nashville’s only Forbes Four Star and AAA Four Diamond restaurant. 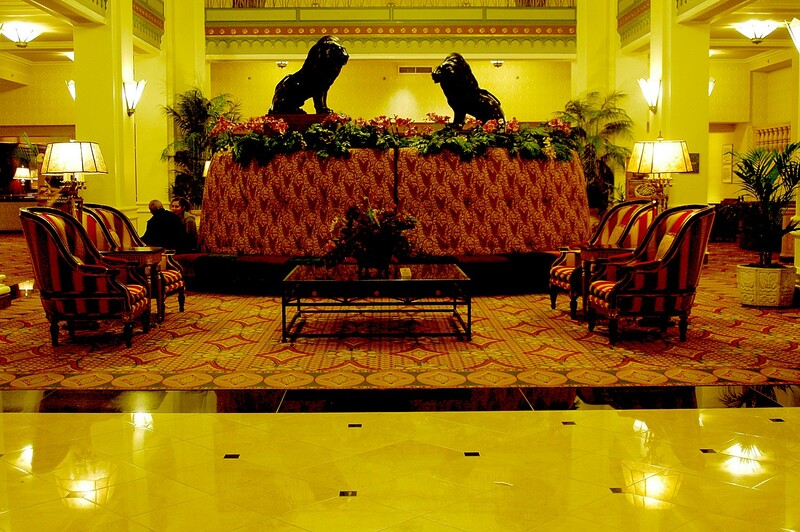 The Hermitage Hotel is the most likely location in Nashville to find a Who’s Who of the entertainment world. Guests have included Tom Cruise, Jon Bon Jovi, Scarlett Johansson and the Jonas Brothers, among many others. 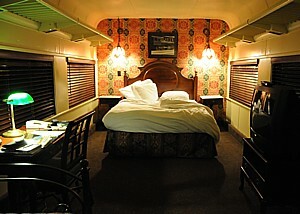 More information about the hotel can be found at: www.thehermitagehotel.com and www.facebook.com/#!/hermitagehotelnashville.